I am thankful for a day of rest, at least some what, and to spend time with family and friends on this cherished American holiday. 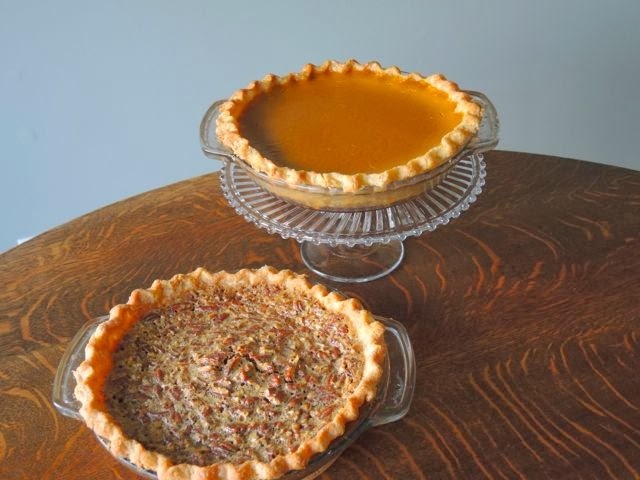 To my family and friends scattered across our country I wish you a day of delicious food and good company. I am thankful and blessed by each of you. To my readers sprinkled around our precious globe I am thankful you take the time to visit my humble blog. May everyone have a day rich with many blessings. Many years ago my late husband and I were returning to Palo Alto from skiing in Lake Tahoe. We had left earlier than usual because a storm had blown into the area. It seemed everyone had the same idea. As the mountains faded behind us the driving snow turned to pouring rain and the traffic went from a crawl, to stop and go, then it stopped all together. This was before cell phones, so we had to rely on the radio for information. We learned the freeway had been closed due to flooding. Finally able to exit the freeway we stopped for gas before finding an alternate route home. Chris ran into the convenience store as the car’s tank was being filled. A moment later he opened the car door and handed me a package of Fig Newton cookies and a carton of milk. When I asked what it was he said, “Dinner!” Our normal four hour drive ended up taking eight. I have always been a Fig Newton cookie fan, but I had never had a fresh fig. Later that year when the season hit I bought a small basket of fresh, plump, purple figs from our favorite produce stand. 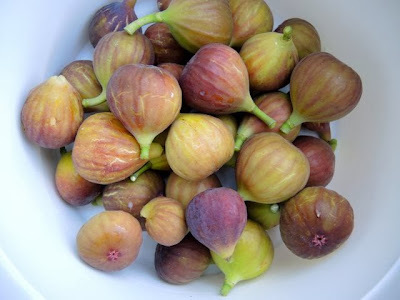 Figs are delicate. They don't travel well, which is probably why I had never had one before. It was love at first bite. When I left California I decided to find a variety that would grow in the Midwest. It wasn't easy, but eventually I was successful. I thought it would be a small shrub, which it was for many years yielding only a few coveted pieces of fruit each season. But now it is gigantic. 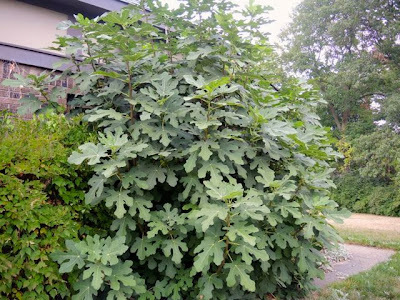 While probably not the best for the house, it thrives in its sheltered location. 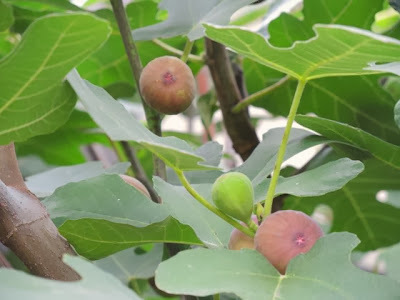 It now produces bumper crops of figs. Here are two of my favorite ways to use my abundant yield. The first is a simple fig compote, which could also be made into jam by increasing the amount sugar and cooking the figs a little longer. The second is an even easier recipe for roasted figs. 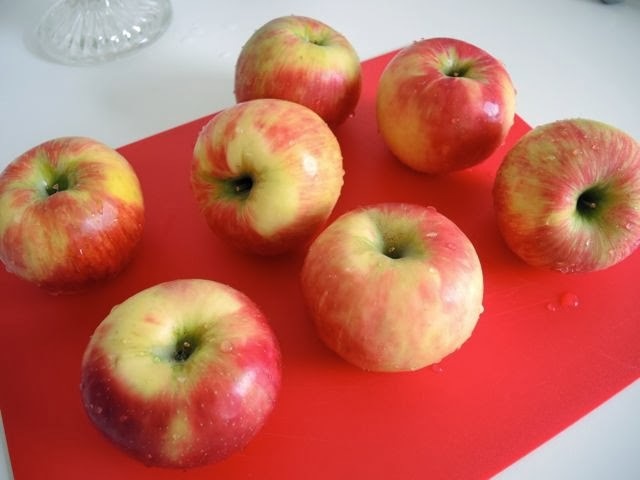 I love to roast fruits and vegetables. It intensifies the flavors and sugars. 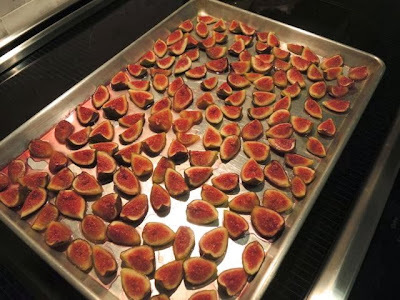 I don't add any sugar to the roasted figs because I don't think they need it. Feel free to if you prefer the fruit sweeter. There isn't a lot of sugar in the compote either. 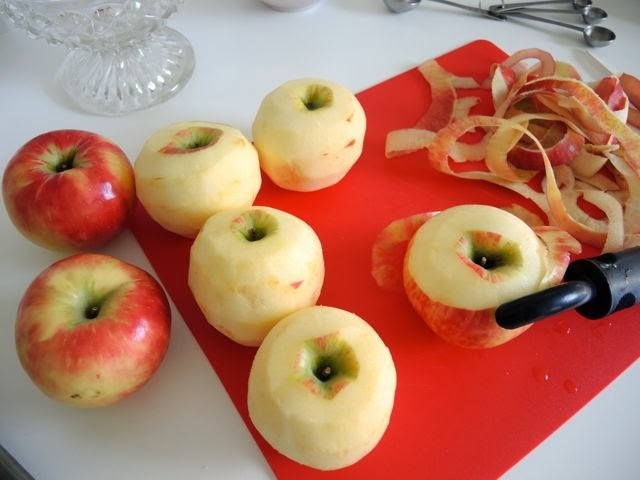 I prefer to let fruit shine on its own. 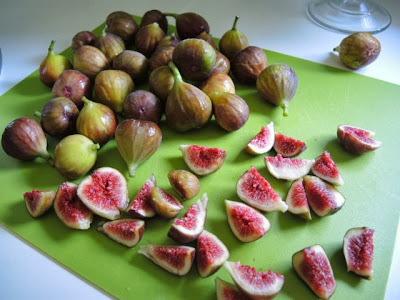 Wash, dry, de-stem, and quarter fresh figs. Split a fat vanilla bean and scrap out the seeds with a sharp knife. 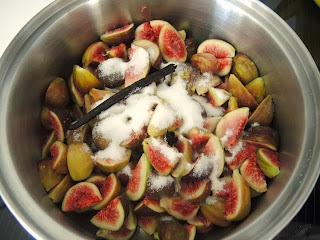 Put figs, sugar, and vanilla bean in a medium saucepan over medium heat. 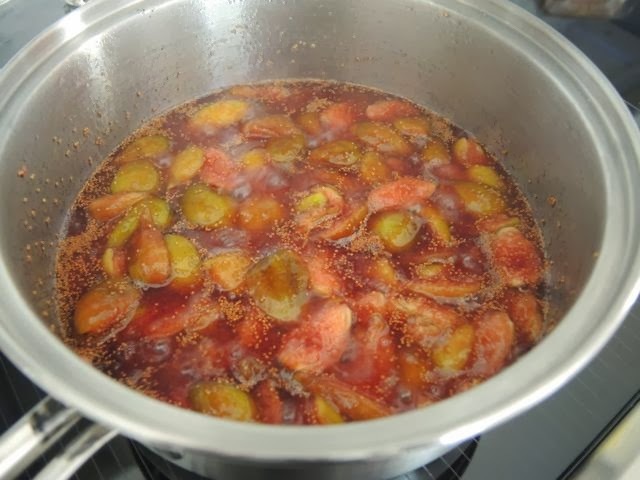 Allow the fruit to simmer gently until figs are soft. 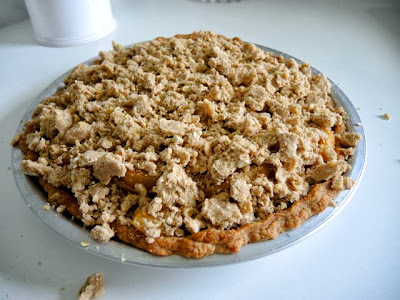 Mash with a potato masher so there are rough chunks of fruit throughout. If you prefer the sauce to be more like jam increase the sugar to taste and purée in a food processor. 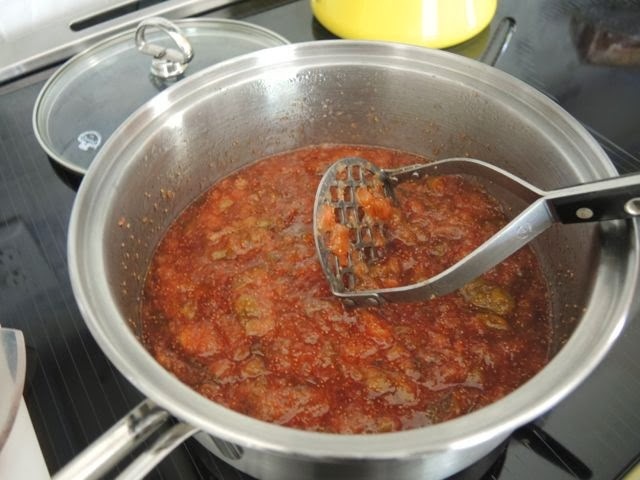 Use the compote as you would any fruit sauce. 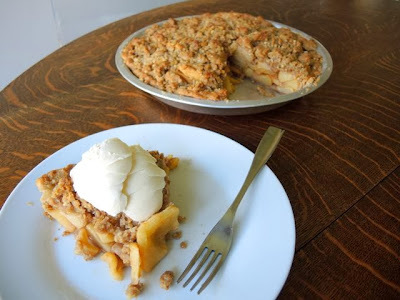 It is delicious over ice cream or pound cake. 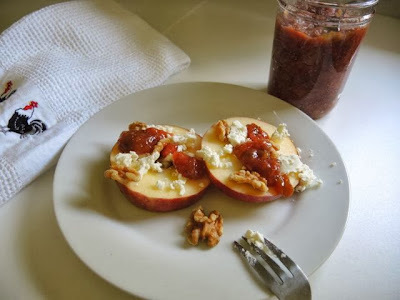 My favorite is drizzled on slices of Honeycrisp apple, (cores removed) with goat's cheese and walnuts. 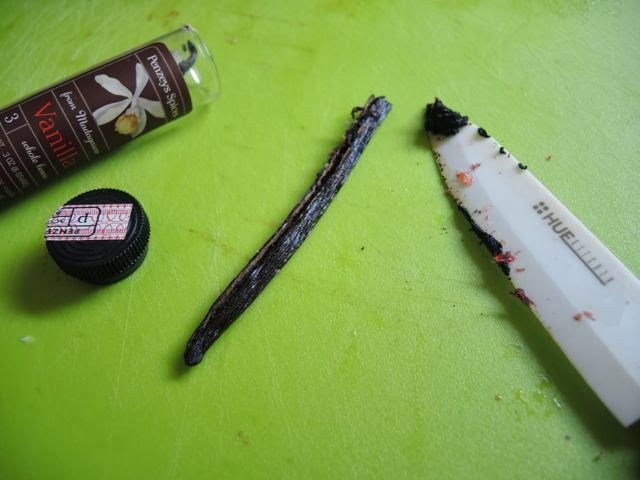 It makes a tasty afternoon snack. Gently wash and dry figs. 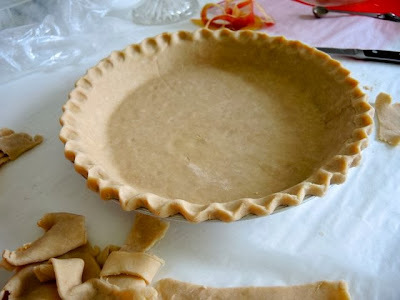 Remove stems and cut into quarters. 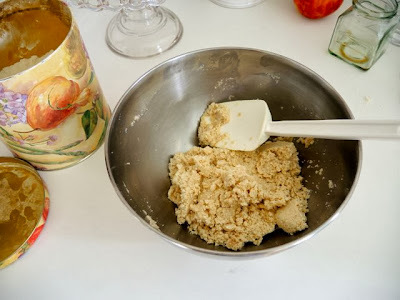 Put in medium saucepan with sugar, vanilla bean, and scrapped seeds. Cook over medium heat uncovered until the juices are released and the fruit begins to boil, reduce heat to low and cook until fruit is soft. About 15-20 minutes. 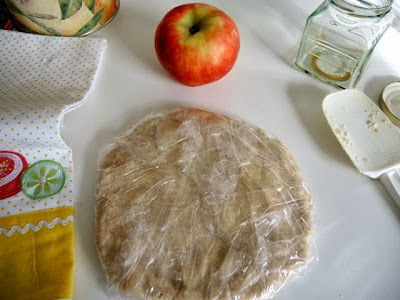 Remove from heat and mash with a potato masher. Preheat the oven to 350℉ (175℃). Gently wash and dry figs. Remove stems and cut into quarters. 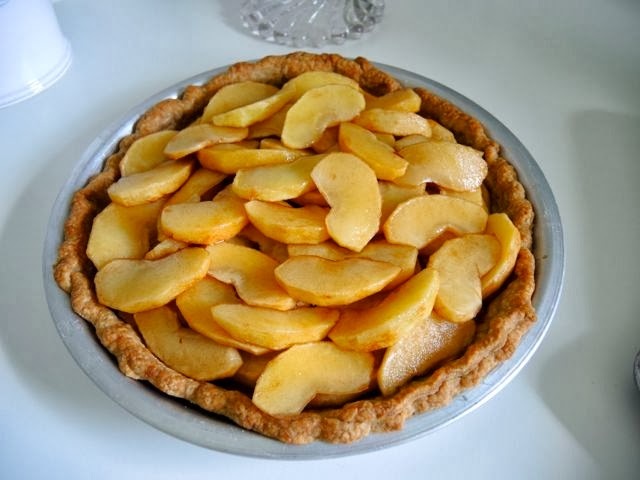 Place on a rimmed baking sheet cut side up in a single layer. 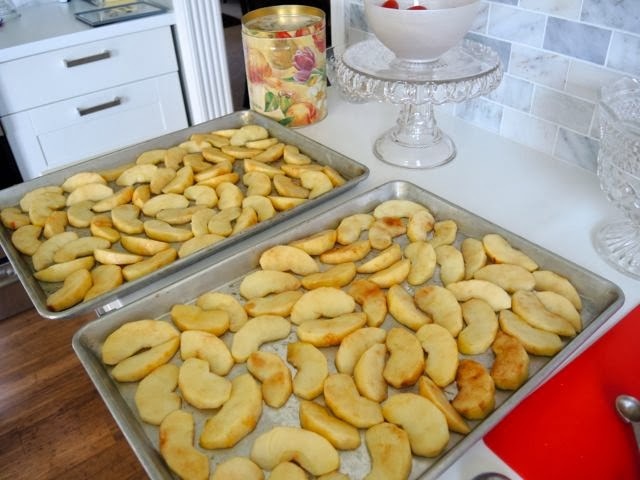 Roast 30-40 minutes until the fruit is soft and juices begin to caramelize. Cool slightly on the pan then transfer to a clean glass jar making sure to get all the cooked juices. Store in the refrigerator. 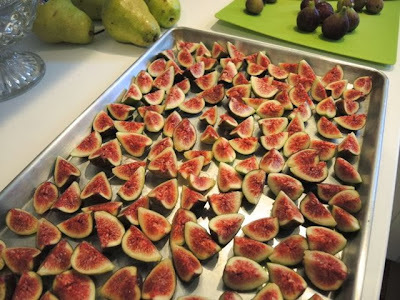 You can make this recipe with any amount of figs. Just make sure they are in a single layer on the baking sheet. Use more than one baking sheet if necessary. 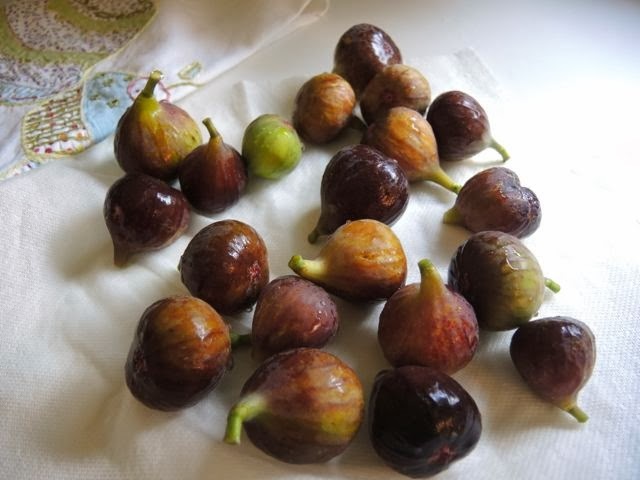 Keep an eye on the figs so they don't burn, but allow the fruit to get soft and the juices to start to caramelize. 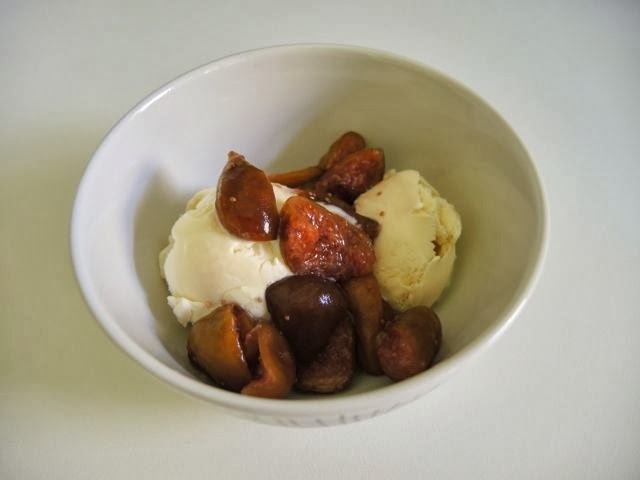 I like to serve the figs warm over good quality vanilla ice cream. Caramel ice cream would also be delicious. My niece, Stephanie, and I attended the Indiana Governor's Conference for Women in Indianapolis. The conference brought together business women and entrepreneurs to share ideas and inspiration with the guidance of well-known speakers and business leaders. The conference was enlightening and indeed inspiring. 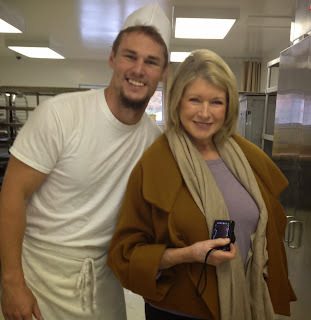 But for my niece and I the secret draw was our desire to meet Martha Stewart. We are huge fans. When we learned she would be the keynote speaker we were in. Martha was to sign books before the luncheon. As one would imagine the line for the book signing was long. We waited as patiently as possible, clutching our newly purchased books as we inched ever so slowly toward our goal. Our chances were not looking good, when suddenly the line moved quite a bit leaving us up next. We were just a few feet from Martha. Nervously, Stephanie and I glanced at each other while trying to figure out what we would say without gushing or sounding crazy when it was announced Martha had to stop so she could speak at the luncheon. The two year old inside me wanted to scream, "NOooo". Thankfully, I didn't. I remained composed and tried to act like a grown up, but I was quite disappointed. We both were. Although we didn't get our shining moment, we did greatly enjoy the talk Martha gave with Charlotte Beers, another speaker at the conference. Ms. Beers has had a successful career in advertising, as well as, serving as Undersecretary for Public Diplomacy and Public Affairs under the direction of former Secretary of State Colin Powell. Martha and Charlotte have been friends for many years. Their talk was both entertaining and inspiring. Martha, thank you for visiting our fine city. We do hope you enjoyed Indianapolis and will come back again soon. We would be happy to show you around.